Autumn the Giraffe is nice and warm in the barn… but a little camera shy. The Greenville Zoo is expecting a baby! The zoo’s Masai giraffes, named Walter and Autumn, will have a calf in early February (or any day now). South Carolina Public Radio’s Laura Hunsberger visited the zoo to meet the animals and one of their keepers, Keith Gilchrist. This is a production of South Carolina Public Radio. 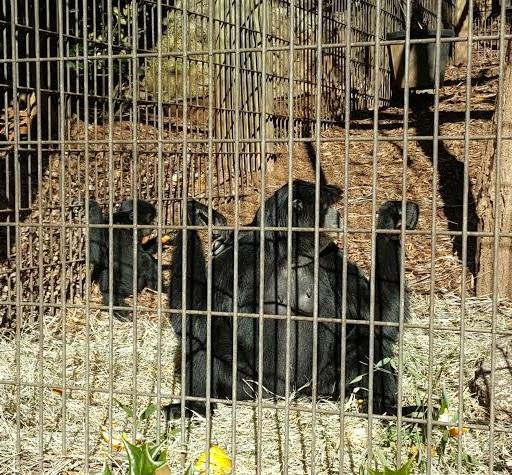 George the Siamang baby and his mom lounge in the sun. 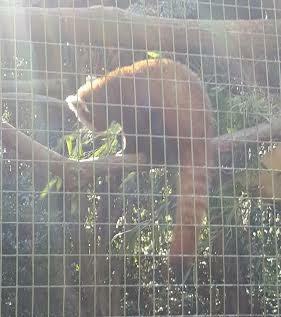 William the baby red panda chows down on bamboo to keep growing!